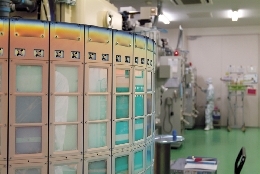 Tokai has entirely devoted itself to the processing of thin film commitments since its establishment. Nowadays, with the optical technology attracting attention we are even more eager in performing our business operations. We respond to our customers’ demands according to their request regarding development, processing speed and quality based on the three factors that promote business operations. 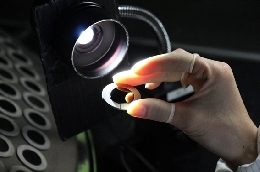 In order to respond to requests of special optics technology, the designed thin film must be layered correctly on the base material. For that, we utilize materials according to the respective purposes, select filming substances and prepare several production methods. We can tackle not only the usual executable wavelength area, but also a large area from ultraviolet rays to infrared rays. 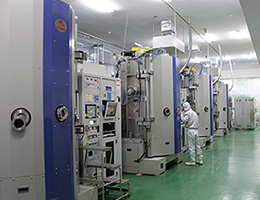 We are performing cutting-edge thin film processing using equipment such as electronic beam (EB) that enables several vapor sources’ individual evaporation by heating through electron beam, ion assist (IAD) that enables production of high-density and high adhesiveness, shiftless wavelength thin film that can layer with high quality optical thin film, sputtering that enables production of high-quality optic film with shiftless low-temperature deposition. We are fully equipped with a coating room and a cooling room for production processes. Based on the continuous improvement of quality, technology and productivity, we have introduced the newest equipment and technology, as long with our production line. We are ready to answer to your requests and conditions and fully support you from trail production and product development to mass production. We steadily provide products according to your demands, we concentrate all our efforts to obtain our clients’ trust and ensure thorough quality control. In order to ensure quality and functionality after the film production process, we have accumulated know-how on inspection and required measurements and we observe quality standards according to our fixed standards, based on ISO9001. We have received orders from many types of customers and we have always delivered highly competitive products, with added value. We have been highly praised by many industries for our quality standards and our multiple and various processed products, as well as many delivery results stand as actual proofs. 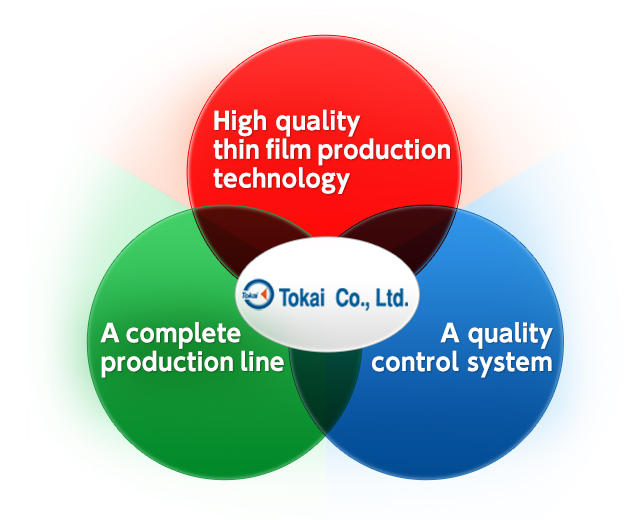 Tokai’s strength is the fact that we can offer you SUPERIOR products.